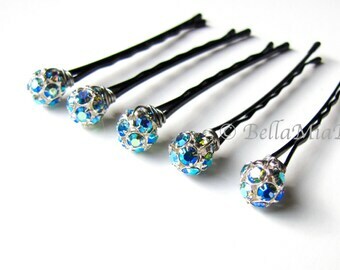 Ultra sparkling hair pin set, now available in a smaller, 8mm size. 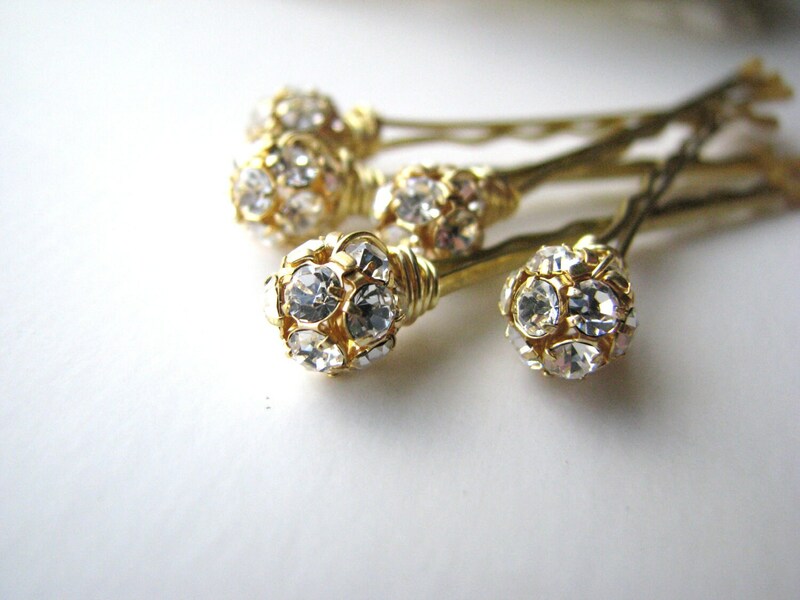 This group of (5) 8mm clear crystal rhinestone and gold tone beads are each attached to a 2 inch bobby pin (customization available). Lovely wire wrapped style using gold tone wire for added texture. Perfect to add sparkle on your wedding day, prom, or other special occasion. Made with genuine 8mm Czech crystal beads, with brilliant shine power. These dainty pins are designed to tuck into an updo or next to a braid. Need a custom combination? Please ask. See my shop for this in 10mm and 12mm sizes, and also my large variety of hair pins.